Not the worst looking cars in the world. MONTEREY CAR WEEK was in full swing last weekend in Northern California. The annual gathering of car nuts features events, debuts of new models, and of course auctions. Have a look at that exquisite car, plus many of the other classics that compelled collectors to part with some big bucks. Ferraris dominate the collecting scene these days. And there was no shortage of them at Car Week. All prices have been converted from dollars to euro. Here’s that beautifully restored 250 GT. But let’s not forget about more modern Ferraris. Here we have a 1985 Ferrari 288 GTO, and it went for €2,129,000. According to the auction house, only 36 of these cars can be found in the US. A similarly styled car to the 288, this 1987 328 GTS went for €74,279. That’s a massive bargain, by the standards of collectible cars from the Prancing Stallion. Back to the multi-million Ferraris, and for €2,377,000 you could have taken home this 1971 365 GTS/4 Daytona Spider. 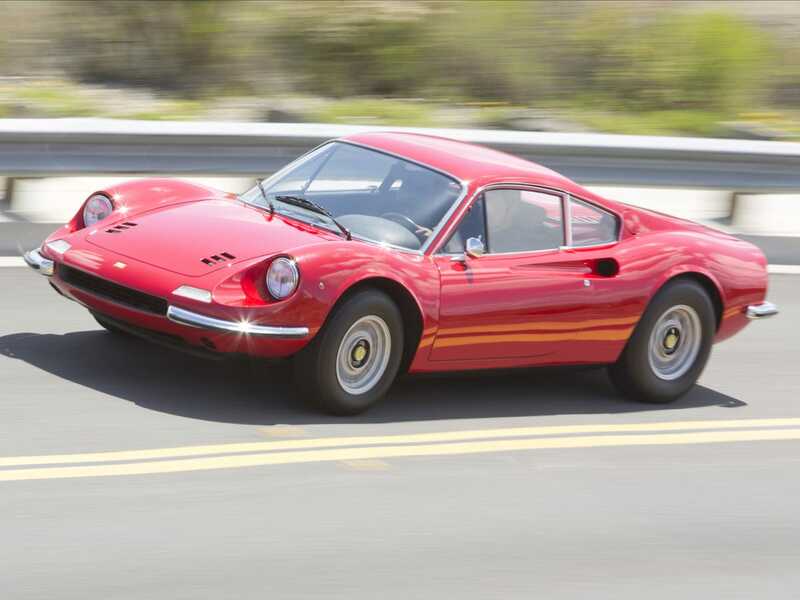 This 1973 Ferrari Dino 246 GT tipped the scales at €366,460. The car was named for Ferrari founder Enzo Ferrari’s son as has a true cult following among the Ferraristas. An incredible 1990 F40 was purchased for €1,113,746. This was the last Ferrari to be developed under the watchful gaze of Enzo Ferrari, who created it to celebrate Ferrari’s 40th birthday. It’s considered by many to be the greatest supercar of all time. Ferraris don’t have to be red. This elegant, sporty silver 1968 365 GT 2+2 went for €232,742. A 1972 365 GTC/4 brought in €227,700. And now some Ferraris that aren’t red or silver. This 2005 575 Maranello Superamerica was barely driven — just 21,000 kilometers. €321,749 was the hammer price. And this 1962 250 GTE 2+2 Series II went for €331,741. Finally, let’s consider history. Ferrari has come a long way. Just look at the subdued postware styling of this 212 Inter Cabriolet from 1951. This is what the earliest Ferraris looked like. A whopping €17,833,000 was the price. Email “Check out these classic Ferraris that sold for millions at auction”. Feedback on “Check out these classic Ferraris that sold for millions at auction”.